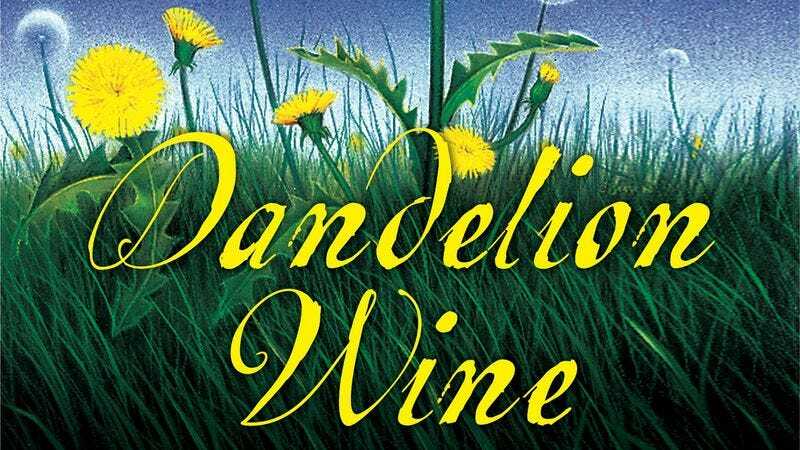 Back in 2011, a team of producers (including husband-and-wife filmmaking team Rodion Nahapetov and Natasha Shliapnikoff) announced that they were developing an adaptation of Ray Bradbury’s semi-autobiographical novel Dandelion Wine. There wasn’t much movement on the project after that, though, but now Nahapetov and Shliapnikoff have returned—without the other producers—and they’re turning to Kickstarter to raise the money they need to get the movie into pre-production. The two of them aren’t just big Bradbury fans, though, as in the Kickstarter video Nahapetov explains that he was actually friends with Bradbury for over 10 years, and they worked on the screenplay together until Bradbury eventually gave Nahapetov his approval to make the movie. On top of that, the Kickstarter video also includes a clip of a very elderly Bradbury saying he wants Nahapetov to direct the film because he knows it’ll be a “a work of love” and possibly a Best Picture winner at the Academy Awards. That’s obviously a pretty bold prediction, but the guy wrote the book the movie is based on. He’s allowed to hype it up. The Kickstarter project is looking to raise $350,000 by January 9, and it’s currently sitting at just under $2,000. Prospective pledgers can expect to get the usual sorts of rewards for a project like this, including a copy of the movie, a chance to be an extra, and even some Ray Bradbury memorabilia autographed by the author. You can get more information about the Kickstarter campaign here.